Russell H. Taylor received a B.E.S. degree from The Johns Hopkins University in 1970 and a Ph.D. in Computer Science from Stanford in 1976. He joined IBM Research in 1976, where he developed the AML robot language. Following a two year assignment in Boca Raton, he managed robotics and automation technology research activities at IBM Research from 1982 until returning to full time technical work in late 1988. From March 1990 to September 1995, he was manager of Computer Assisted Surgery. In September 1995, Dr. Taylor moved to Johns Hopkins University as a Professor of Computer Science, with joint appointments in Radiology and Mechanical Engineering He is also Director of the NSF Engineering Research Center for Computer-Integrated Surgical Systems and Technology. Dr. Taylor has a long history of research in computer-integrated surgery and related fields. In 1988-9, he led the team that developed the first prototype for the robodoc© system for robotic hip replacement surgery and is currently on the Scientific Advisory Board of Integrated Surgical Systems. At IBM he subsequently developed novel systems for computer-assisted craniofacial surgery and robotically-augmented endoscopic surgery. At Johns Hopkins, he has worked on all aspects of CIS systems, including modeling, registration, and robotics in areas including percutaneous local therapy, microsurgery, and computer-assisted bone cancer surgery. 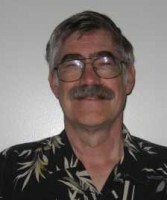 He is Editor Emeritus of the IEEE Transactions on Robotics and Automation, a Fellow of the IEEE and the AIMBE, and a member of various honorary societies, panels, editorial boards, and program committees. Dr. Taylor is a member of the scientific advisory board for Integrated Surgical Systems. In February, 2000 he received the Maurice Müller award for excellence in computer-assisted orthopaedic surgery. Disclosure: Russell H. Taylor, PhD has disclosed that he is Investigator on NSF and NIH Grants for Intuitive Surgical, Co.; has a Hologic-Research grant; is on retainer for Kirkland & Ellis, Retainer and received fees for expert witness; received grant support from Siemens Corporation; the Research Center for Computer-Integrated Surgical Systems and Technology for whom he works is affiliated with the following industries -Acoustic MedSystems, Inc., American Shared Hospital Services, Foster-Miller, GE Healthcare, Intuitive Surgical, Inc., Medtronic Northern Digital, Inc., Philips.